Now with the N50 interchangeable port system supporting extreme macro and high quality wide angle accessory lens options from Nauticam! With the sixth iteration of the RX100 series, Sony has continued to add features to this workhorse compact camera and Nauticam is also adapting with the new NA-RX100VI housing. The NA-RX100VI housing provides the ergonomics, build quality, and innovative feature set our customers demand in a tiny, travel friendly package with the addition of an interchangeable port system to accommodate the longer zoom lens of the Mark VI. Nauticam designs are always improving, and new features integrated into each new release. The ergonomic experience has been tailored for a photographer’s right hand on the side of the housing, placing key controls literally at the users finger tips. The core RX100 DNA that has made this series so exceptionally popular is unchanged. These features include a large backside illuminated sensor in a compact body that can easily fit into a shirt pocket. The largest change to the Mark VI is the move to a longer focal length 24-200mm equivalent from the previous 24-70mm. 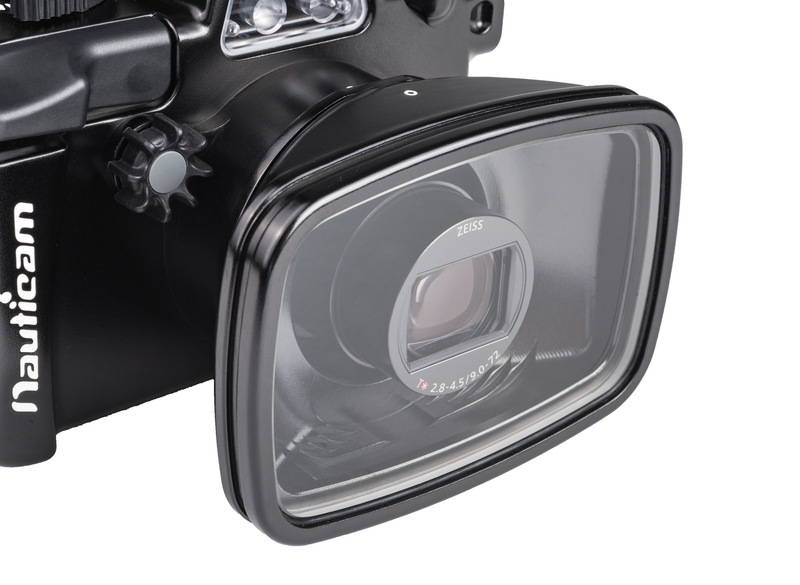 The DSC-RX100 VI maintains the 315 point phase detect autofocus sensor array that covers 65% of the frame. Phase detect focus systems can acquire focus more quickly than the contrast detect enabled competition. Hunting for focus is virtually eliminated, and the continuous and tracking focus modes are much better at tracking fast action. The 24 fps Continuous Hi shooting mode (complete with autofocus, auto exposure, and raw capture capability) provides a completely new way of shooting behavior. Still photo strobes can’t keep up with this frame rate, but with ambient light or LED video lights this high speed burst mode. Even the Continuous Mid mode is on par with the continuous shooting speeds possible with pro body DSLR cameras! 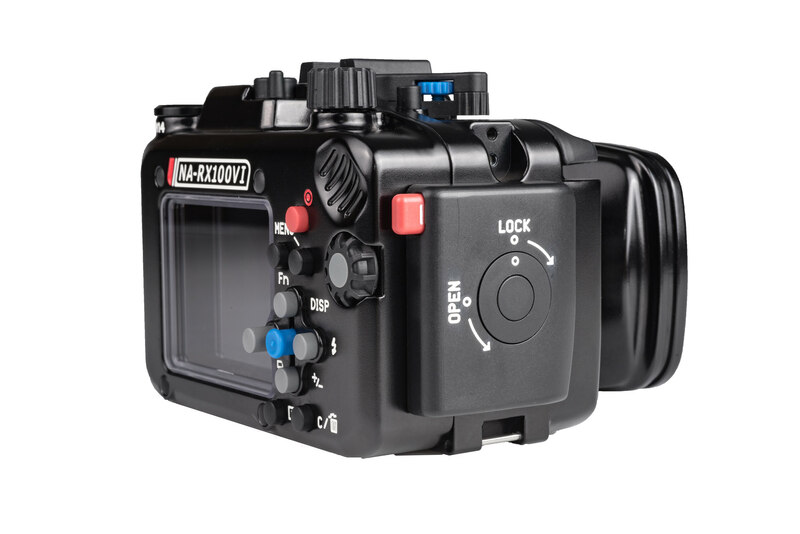 The NA-RX100VI sets a new standard for compact camera housing design. It is the ultimate refinement of the models that came before it, and proven in the field. Nauticam designs are always improving, and new features integrated into each new release. The ergonomic experience has been tailored for a photographer’s right hand on the side of the housing, placing key controls literally at the users finger tips. Some users, especially those wearing cold water gloves, prefer shooting from handles such as the Nauticam Flexitray. To better support this style of shooting, a set of stainless steel handle brackets and a mechanical shutter release trigger extension is included with every housing. The RX100VI housings moves to an interchangeable N50 port system, meaning in addition to attaching a number of different wet mount lenses a variety of dedicated ports are also available. 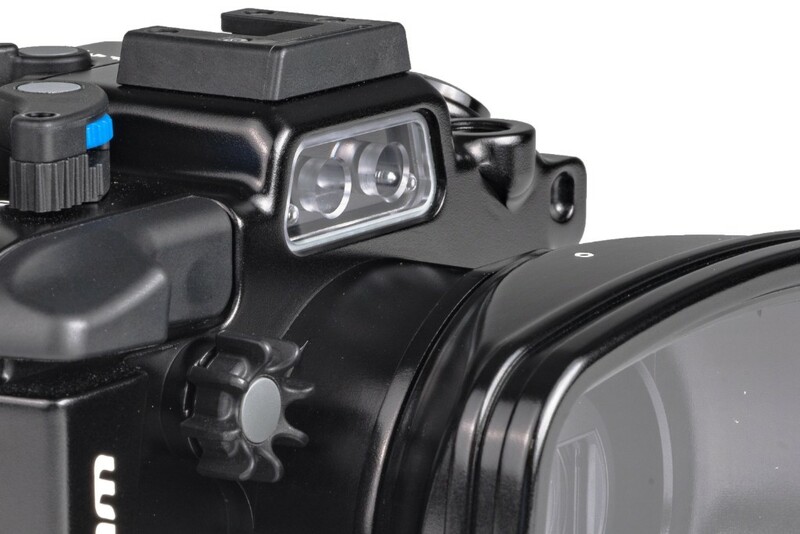 A compact camera underwater is only as good as the optics in front of it, and the growing Nauticam accessory lens lineup sets new performance standards with every release. All Nauticam accessory lenses are engineered specifically for underwater imaging, not waterproof adaptations of lenses designed for use in air, resulting in superior image quality. The Nauticam macro accessories provide visibly sharper images than competing macro lenses, especially in the corders, with noticeably less purple fringing. The lens design is also designed with autofocus systems in mind, easing the learning curve associated with high magnification imaging. 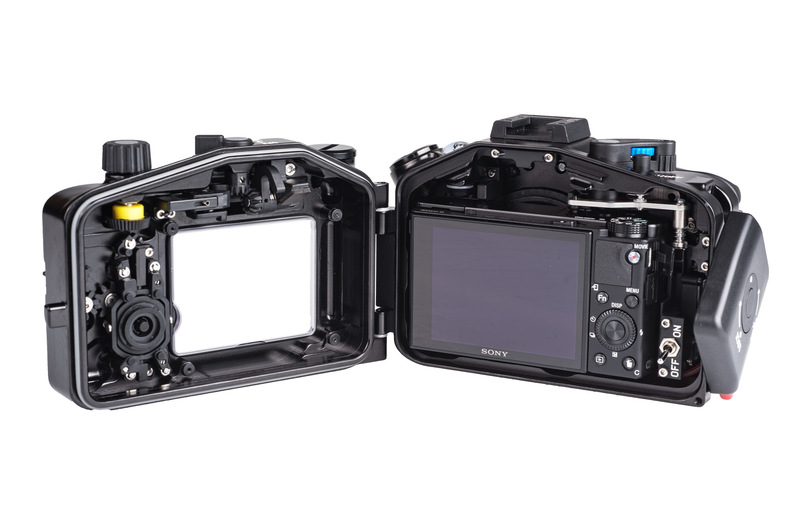 The NA-RX100VI features an interchangeable N50 port system. This port system allows for several different configurations to meet every shooting situation from super wide angle to super macro! The Standard Port, included with the NA-RX100VI allows for full zoom through of the 24-200mm equivalent lens. Inspired by the water contact lens designs of decades before, Nauticam is continually developing new optical accessories that raise the bar of what is possible in underwater imaging. Designed with modern lens design software, and fully optimized for in-water use, these lenses provide significantly better performance than an in-air lens behind a dome or flat port alone. Using the optional M67 Flip Diopter Holder for Standard Port (PN 25107) the NA-RX100VI can be outfitted with the SMC-1 (PN 81201) which allows for super macro magnifications. This combination captures an image less than 14mm wide! For the tiniest subjects that require the most extreme macro magnification, Nauticam SMC-2 (PN 81202) with RX100 VI zoomed to its full telephoto 200mm focal length is the answer. This cutting edge accessory lens allows an image less than 7mm wide to be captured! Even with this extreme magnification, there is still approximately 35mm of working distance between the subject and the front of the SMC-2 lens. 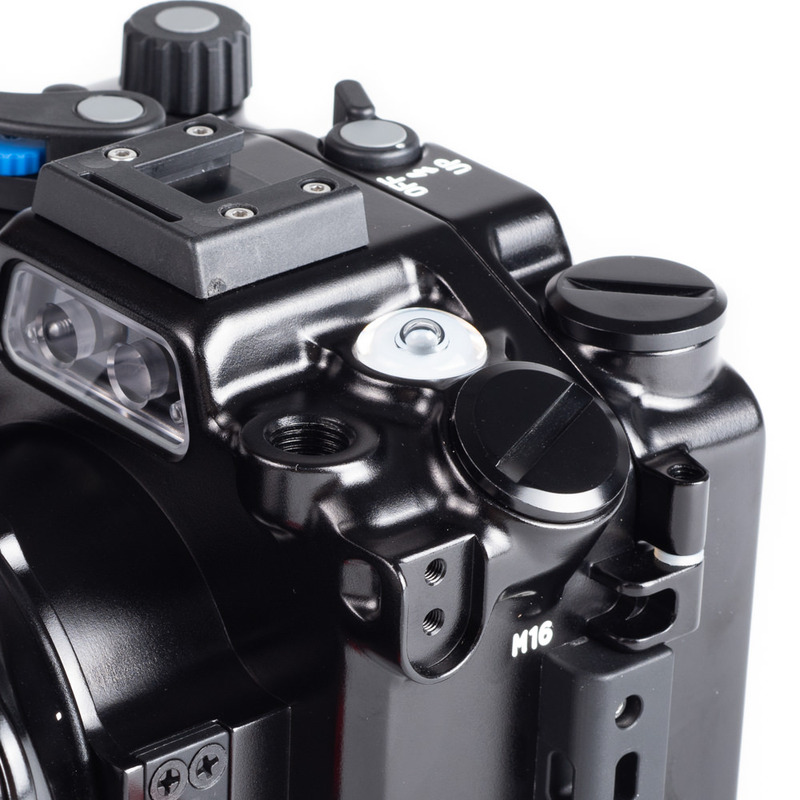 The optional N50 Short Port with Bayonet Mount (38703) allows for the mounting of both the WWL-1 and CMC-1 wet optics to the NA-RX100VI. 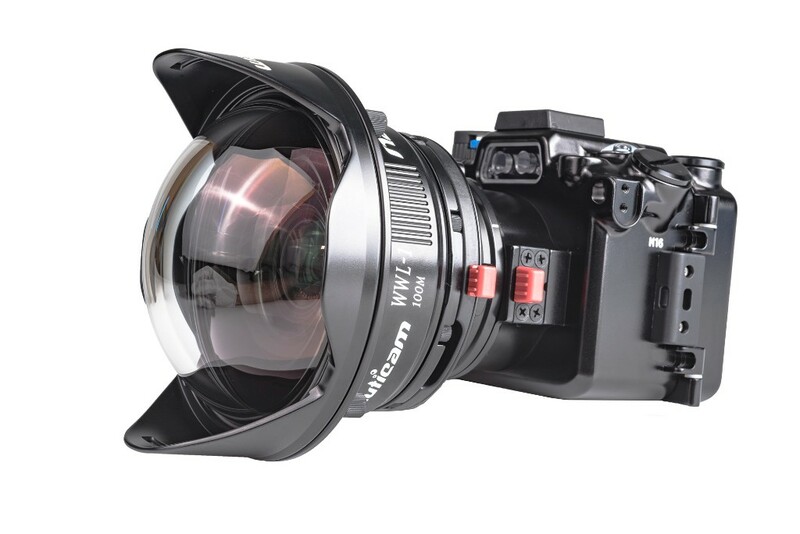 The WWL-1 is optimized to deliver a sharp 130º field of view at a 28mm equivalent focal length with low distortion, extremely high overall sharpness (especially in the corners), excellent contrast, and resistance to flare (vignetting may appear at focal lengths less than 28mm). 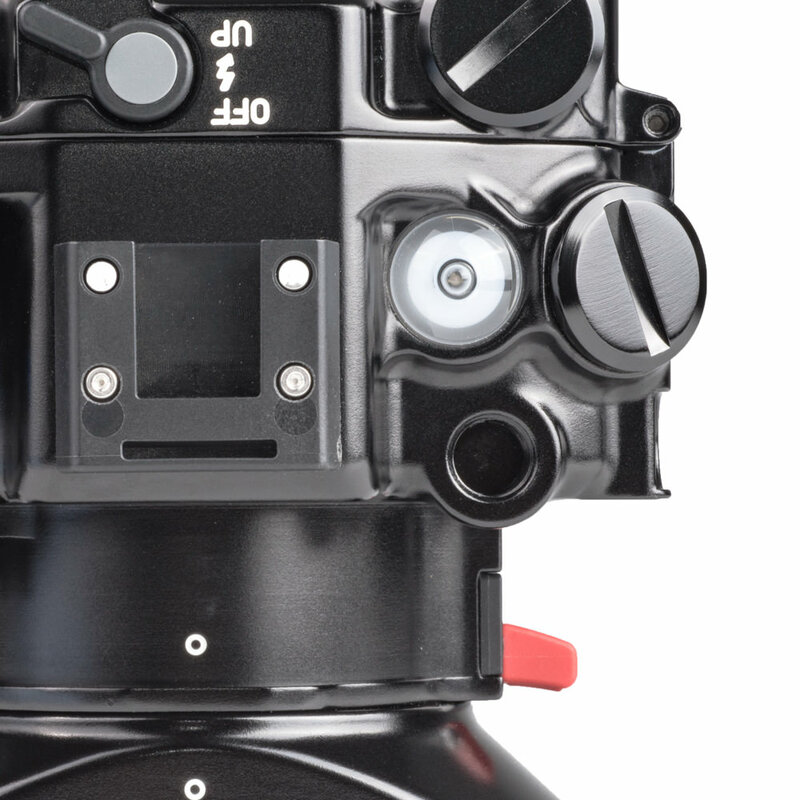 The short port is limited to a maximum focal length (zoom) of 70mm. The CMC-1 allows for true macro shooting in the 36-70mm focal length. The CMC-1 and WWL-1 can be interchanged underwater with this Bayonet Mount System, making the NA-RX100VI the ideal platform for shooting true wide-angle and macro on the same dive! The NA-RX100VI features a built-in fiber optic flash bulkhead that is driven by the camera’s pop-up flash. The flash can be deployed or stowed while in the housing to allow for both artificial and natural light shooting. The RX-100VI features a flash sync speed of 1/2000 of a second! NA-RX100VI features a built-in fiber optic flash bulkhead driven by the pop-up flash of the camera. Nauticam build quality is simply unmatched, using cutting edge product design and modern, innovative manufacturing techniques that result in trouble free reliability. A bit like a fine Swiss time piece, the complexity under the hood results in a trouble free user experience that just works, and keeps working for years to come. Our products are easy to setup, easy to use and simple to maintain. Spring loaded controls allow you to simply slide in the camera and controls align automatically! Photographers need to be able to focus on the subject. Nauticam housings have the easiest and most intuitive controls. Buttons and controls are where they are needed underwater, not where they are on the camera. Circuitry included as standard equipment provides constant monitoring of water tight integrity when combined with an optional Nauticam M14 Vacuum Valve II (25624). Green means safe to dive! 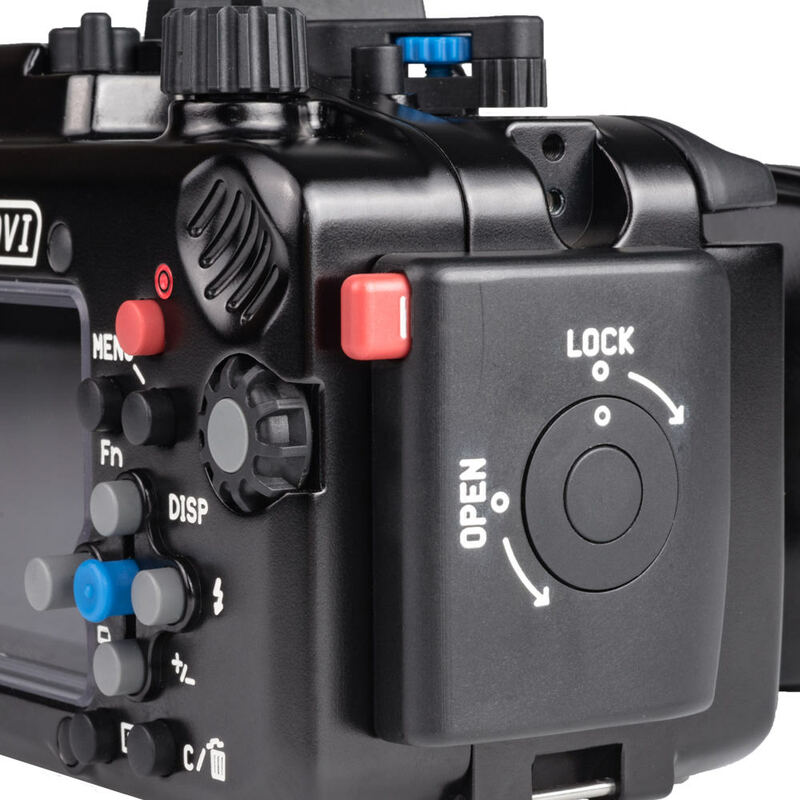 With the optional HDMI bulkhead connected to the M16 accessory hole the NA-RX100VI can be used with the SmallHD 501/502 Monitors (in the NA-502h housing, p/n 17906). The camera offers “clean” HDMI output, allowing high bit rate Apple ProRes recording at up to 4k 30P with supported external recorders. 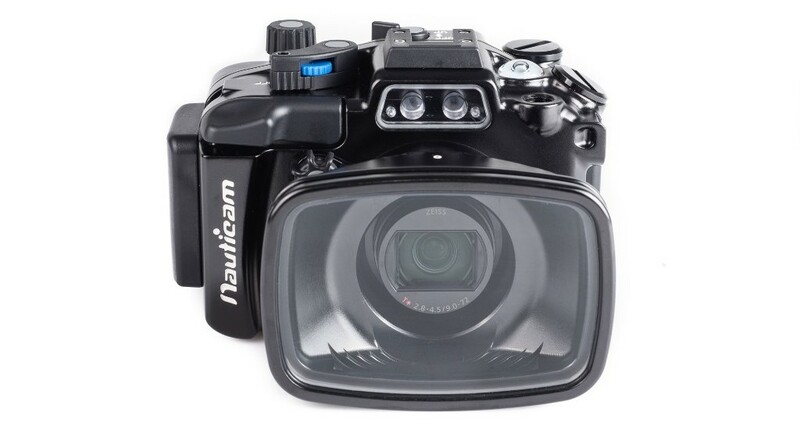 The Nauticam vacuum check and leak detection system is shipped with NA-RX100VI as standard equipment. Combined with an accessory vacuum valve (PN 25624), this monitoring system provides constant updates on the water tight and safe-to-dive status of the housing. A simple color coded LED lighting system lets the user know that the vacuum is solid, or that the housing is losing vacuum. Leak detection is built into the same circuit, so if there is water intrusion, an audible and visual indication will occur. Universal fiber optic cable system (26216) for Inon, Sea&Sea and Nauticam. This entry was posted in Accessories, Sony RX100 and tagged Nauticam, Nauticam NA-RX100VI, RX100 VI, RX100VI, Sony RX100, Sony RX100 VI, Sony RX100VI. Bookmark the permalink. Trackbacks are closed, but you can post a comment.